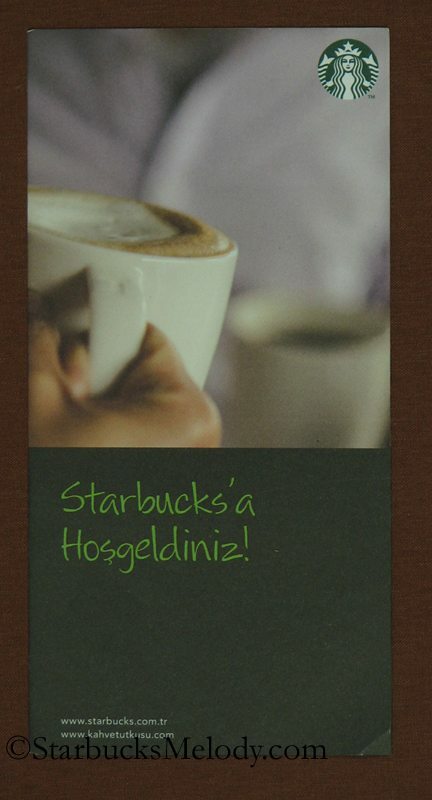 Again, I owe big “Thank You” to Sebastian who took all the photos of Starbucks stores in Turkey, and has given permission to have them posted here. I really like all these pamphlets. 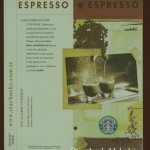 One seems to provide a lot of espresso education, and appears to provide a definition for a ristretto shot, and differentiates between a cappuccino, a latte, and a machiatto. 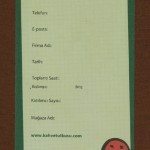 I used an online dictionary to try to figure out what a “Toplanti” might be. 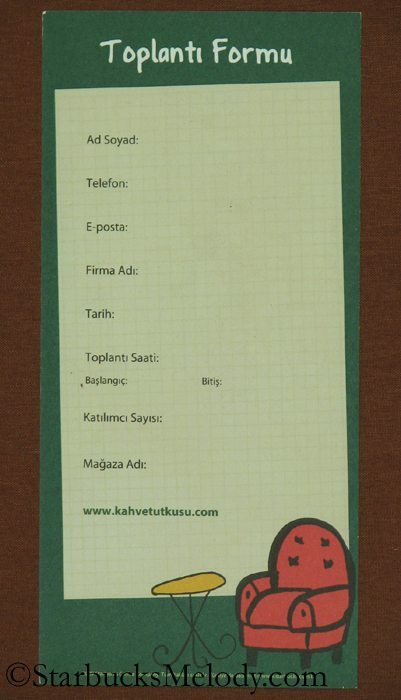 It appears that the “Toplanti Formu” is some kind of form to fill out if you want to have a meeting at that Starbucks. Be advised, I’m only making a guess on that! 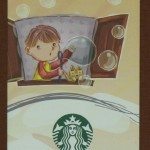 And I think it is a little mysterious that one seems to have an image of a child blowing bubbles – I am not sure what that has to do with coffee. 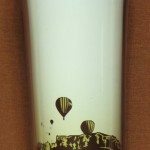 Sebastian also sent me a tumbler from Turkey, so I included a photo of that too! It’s very pretty! If you like browsing articles on international markets, there are a few more articles here. 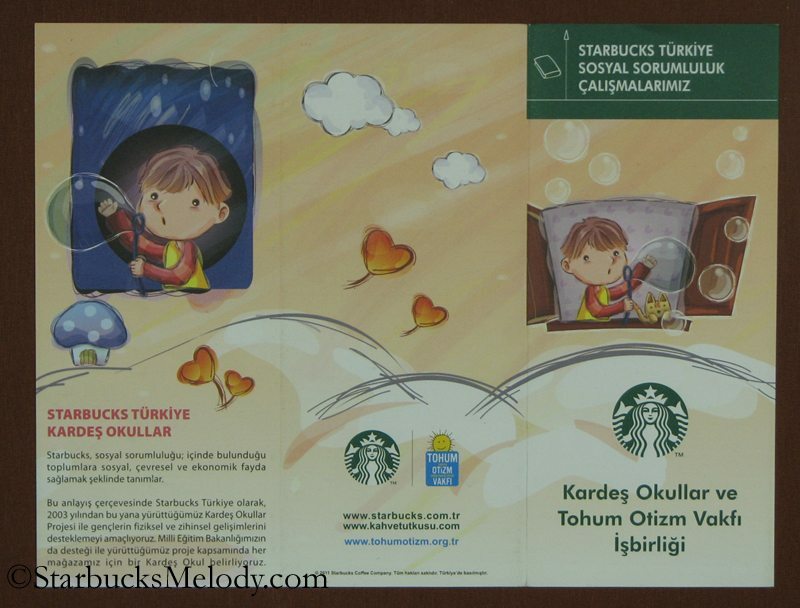 I guess these cards with the child blowing bubbles gives information about a partnership between Starbucks and a Turkish organization helping poor children or something like this. Melody, Molly and Sebastian thanks so much for sharing. I find it so interesting what kind of marketing is done on the international level vs. the USA level. 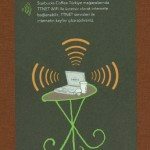 Melody, it is great that your International readership adds to the uniqueness of your Blog. 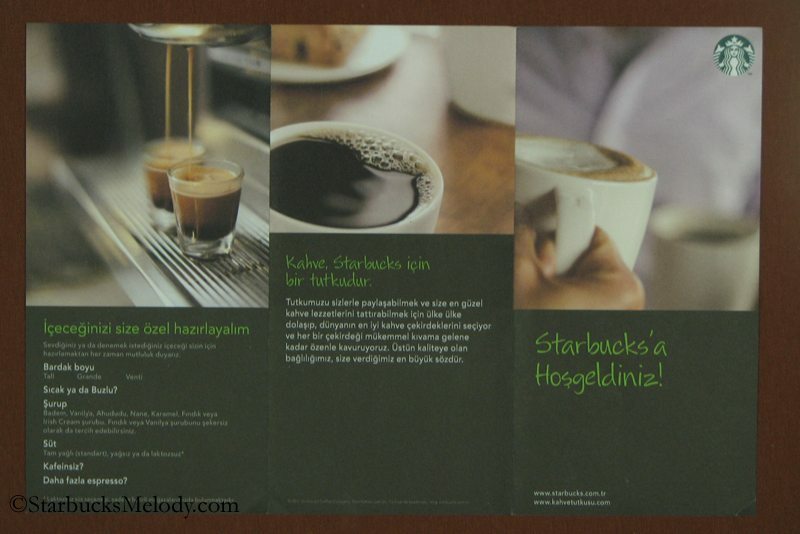 Thanks for the link back to your previous post on Starbucks in Turkey, took a look back to refresh my memory. 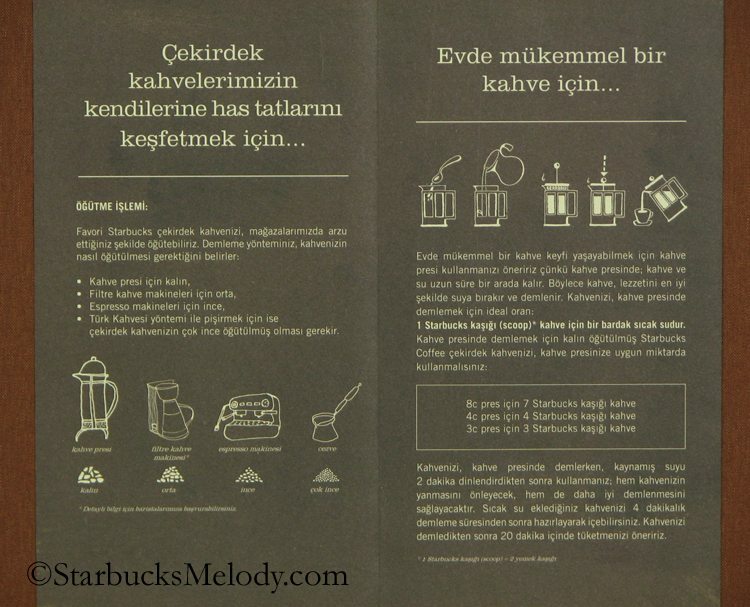 I don’t mean to be silly or snarky, seriously, do any of the Starbucks in Turkey serve true Turkish Coffee? 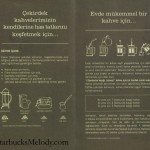 There have been a couple of requests for USA Starbucks to make Turkish Coffee. From what I understand there is quite a process and ritual to it. 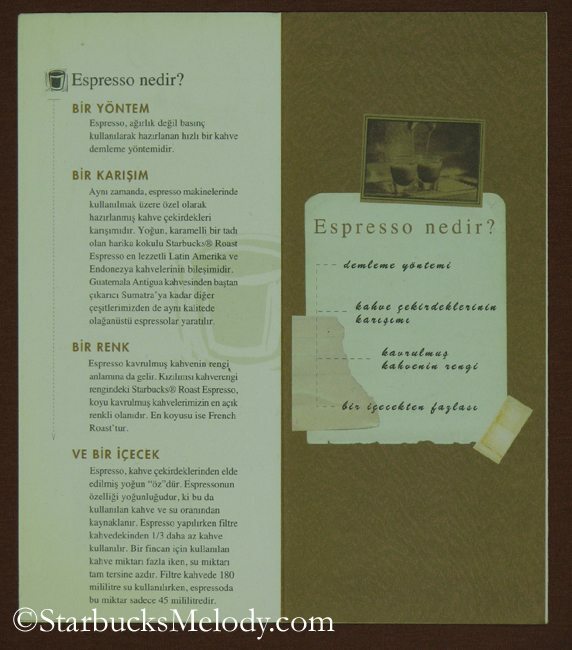 @DadCooks – I don’t know if Turkish coffee is served in Turkey. ?? There is a large “test” district in San Diego county somewhere. I wish I knew exactly where. 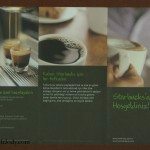 I heard that they were tested there, but I seriously doubt Starbucks will ever launch them nationally. It would have been spring 2011 that they were tested. 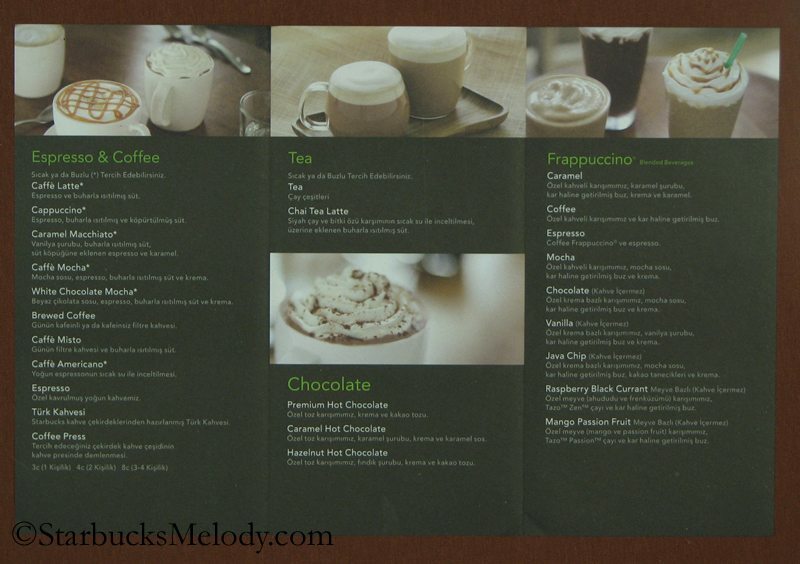 The problem with Starbucks is that they have so many stores that every thing they launch really has to have amazing wide-spread appeal to make it on to the menu boards. I am sorry this is sloppy by the way. I’ve heard that in Hawaii, they offer condensed milk as one of their milk options because there is such a demand for it. 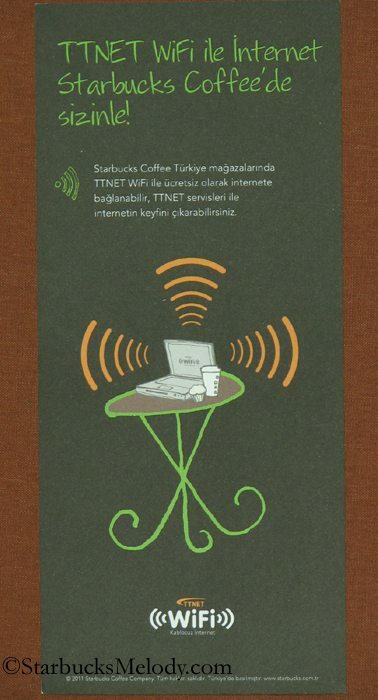 Yes, they do serve Turkish coffee in all stores in Turkey. @Sebastian — thanks for answering my question. @Julia — I enjoyed reading the link you provided. 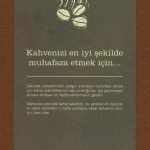 It is my understanding that a true Turkish grind is considered to be the finest grind of coffee, very powdery, more so than what we are used to for an espresso grind. just a quick comment to say (as everyone else did) , it’s very interesting to see all this so familiar (Sbux) part of our lives as a small part of it is in another country….especially one I would likely never be visiting. My niece was visiting her friend in Thailand last spring and meant to bring me a Sbux Thailand cup and then forgot to go back and get it…. she tells me her friend (who lives here and there) can bring me one next time she’s home. @DeniseR – Perfectly said. I like the word “whimsical” to describe these pamphlets. And I hope you get your mug from Thailand! This is actually very interesting! 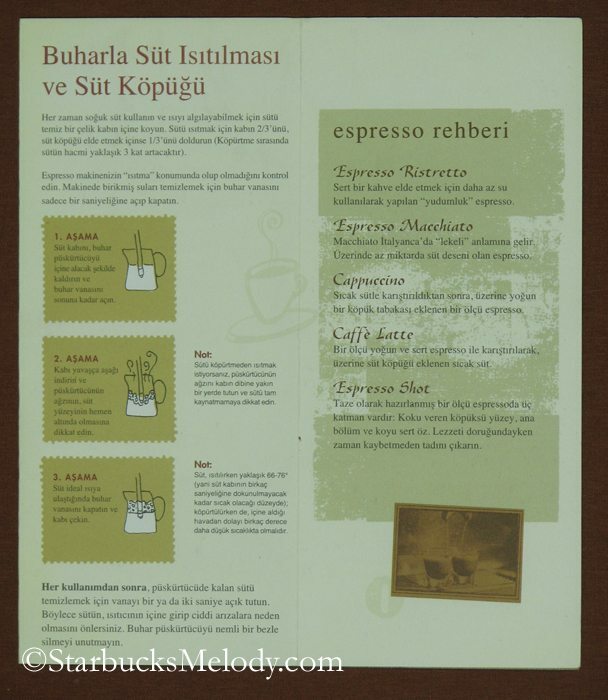 I always enjoy seeing menus of familiar restaurants from other regions or countries! I wish I could read these, though. 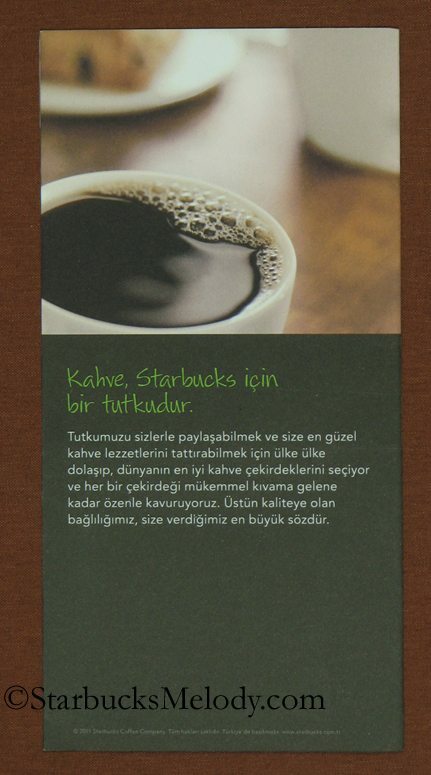 I’d like to see Starbucks test Turkish coffee in the US. 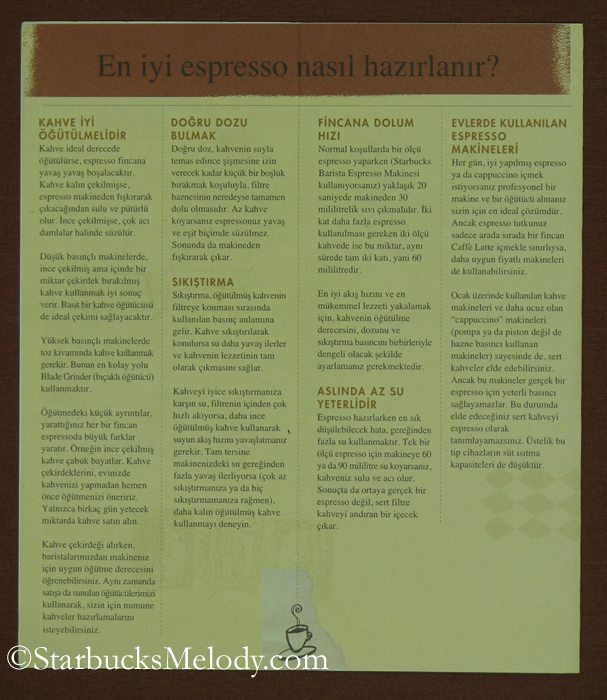 For translation, there’s Google Translate (not perfect, but can, at least, give you an idea of what’s being said). 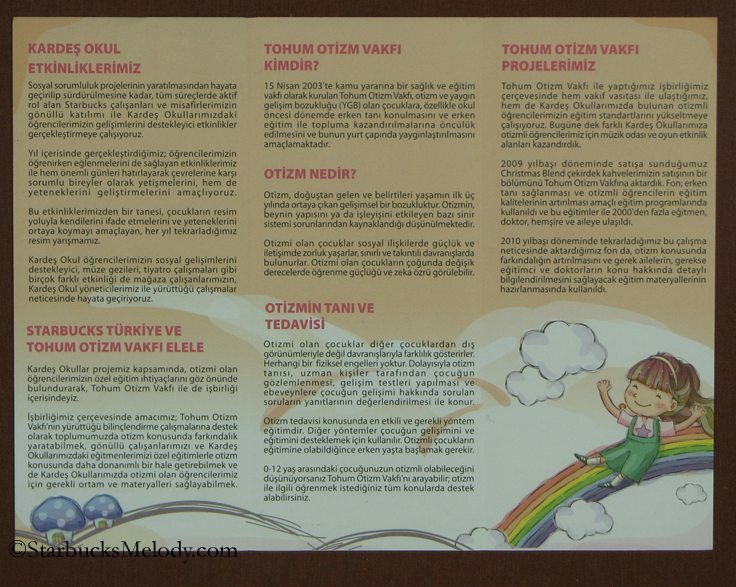 “What is autism?” “Treatment and diagnosis of seed (cause? 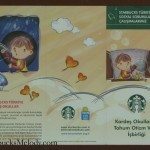 )” Apparently Starbucks has partnered with the autism foundation there. Very cool to see these! 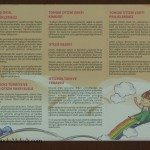 The pamphlets was designed perfectly. 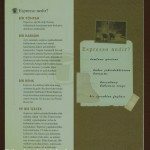 I would love to have a copy of that just for collection. And i love star bucks. I have always spent most of my free time there when I’m out of my office. I loved seeing these! 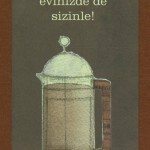 My favorite was the one with the french press. It’s beautiful. I would frame it and hang it on my wall! 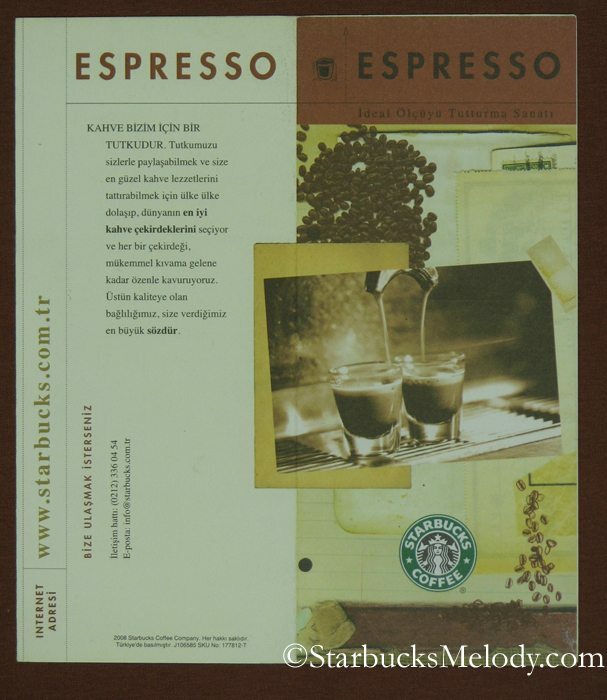 I lived in Istanbul, Turkey for a couple of years after I finished college (a little over twenty years ago). 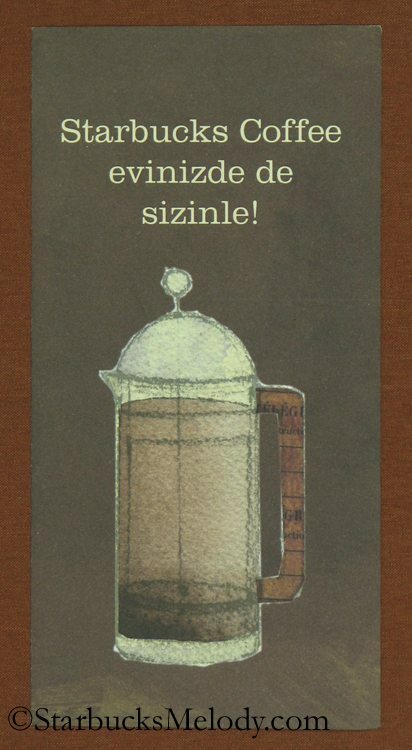 I think I was only served coffee twice in those two years. 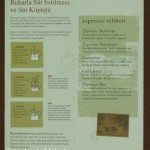 The turks were really big hot tea drinkers. 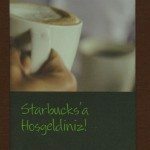 It would be interesting to know if the Starbucks in Turkey sells a disproportional amount of hot tea per customer compared to other countries. 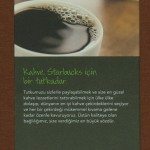 The Turkish coffee I did have wasn’t that pleasant for an American. They would boil the fine grounds in a brass pot with cardamom seeds and then dump it into a little cup, grounds and all. 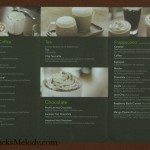 You would have to let the grounds settle to the bottom of your little cup and slowly sip it so as not to stir them up. You wound up leaving coffee in the cup because you didn’t want to drink grounds. 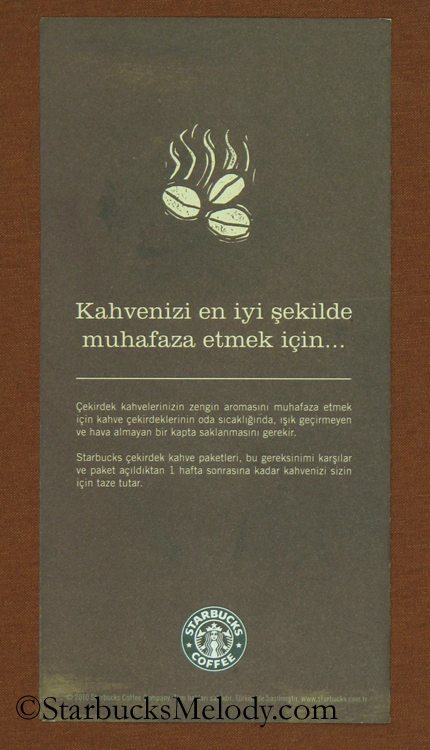 Often times, an old woman would come up to you if you were drinking outside in a cafe and ask, “fala bakar misiniz?” which loosely translates to “can I tell your fortune”. 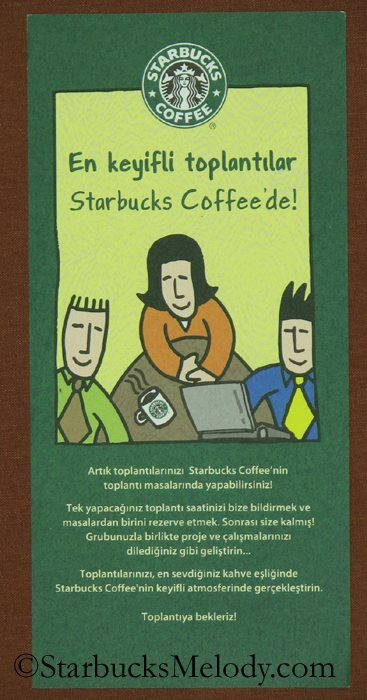 She would turn the grounds onto the saucer and then tell you that you were going to have a long life, or you were going to get money, a wife, etc… Somehow, I doubt if the Turkish Starbucks has fortune tellers like all of the coffee and tea shoppes did.